Why has Romania slapped an income tax on witches? But, to start, how did witchcraft—subject throughout continental Europe to persecution and prosecution from roughly 1400 to 1800—become business as (not-so) usual in Romania in the first place? The answer might have something to do with the level of superstition that persists even in modern-day Romania. In 2009, following the presidential elections, the leader of the Social Democrats—a man who had previously served as the ambassador to Washington and was expected to make a strong showing at the polls—blamed his surprising demise on an occult attack. In 2010, after the release of a nationwide study, the English-language Romanian newspaper Nine O’clock wrote that fortune-telling and evil-eye precautions play a large role in many Romanians’ lives, and that three-quarters of the population “believes” in horoscopes. And lawmakers reportedly backed down from a similar act to tax witches last September out of fears that they would be cursed. Meanwhile, people claiming to be witches have capitalized on public superstition. The exact scale of the witchcraft economy in Romania is difficult to gauge, but, ten years ago, the BBC reported on “Romanian witches’ roaring trade,” and business seems to have boomed in the meantime. Flyers with lists of available services are stapled to telephone poles, and ads for witches run in mainstream newspapers. Several witches have marketed themselves into household names, including Mama Omida, supposedly once the official witch of the prominent Ceauşescu family, and Maria Campina, a self-proclaimed “White Magic Queen.” A 2009 Al Jazeera documentary reported that Romania’s TV regulator attempted to pass a law limiting advertising by witches. 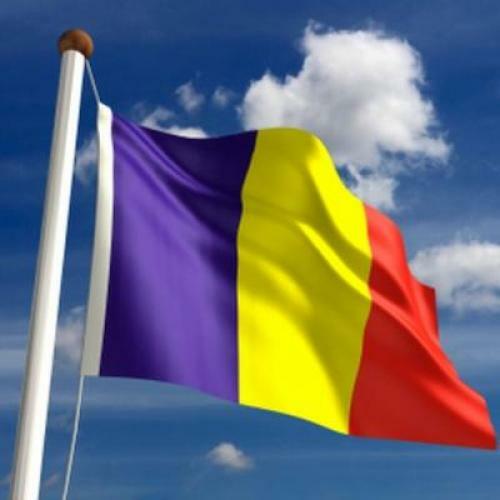 “We were in danger of seeing television in Romania turning into a permanent fortune-telling business,” he told the network. Also, as a sign of how wealthy witches can become, one woman profiled in the documentary drove an Audi and lived in a large, pastel-painted house, the interior plush with carpets and shining chandeliers. This recognition might actually be good news for some witches; but is it good news for Romania as a whole? As Brian Pavlac, author of Witch Hunts in the Western World: Persecution and Punishment from the Inquisition through the Salem Trials, told me, “Making a tax is recognizing that it’s real.” In Pavlac’s opinion, the tax sets a dangerous precedent—offering indirect government approval to something he sees as mere superstition and deceit. What other vestige of superstitious tradition might now gain its sanction? Vampire hunters in Transylvania, perhaps? Chloë Schama is the assistant managing editor for The New Republic.